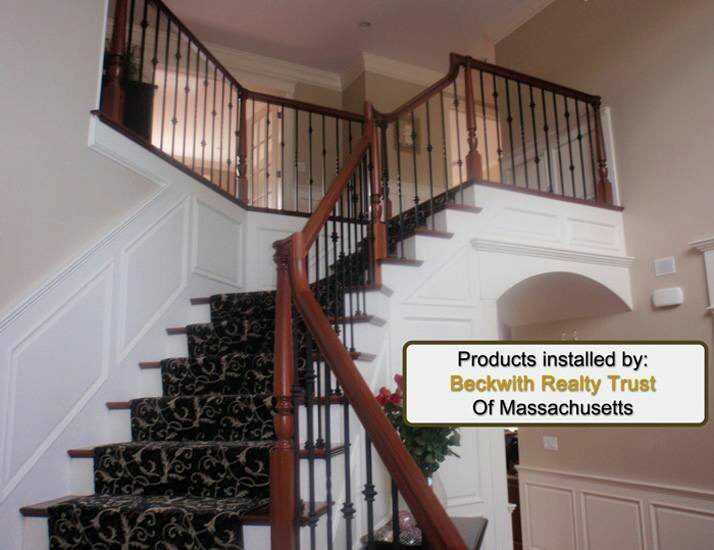 The above products are recommended for installation or mounting of the 16.1.1 Single Twist Iron Baluster. 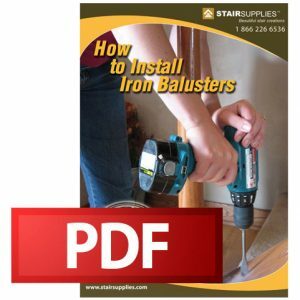 while I am getting ready to change out the wooden baluster with wrought iron I thought the job would be straight forward. 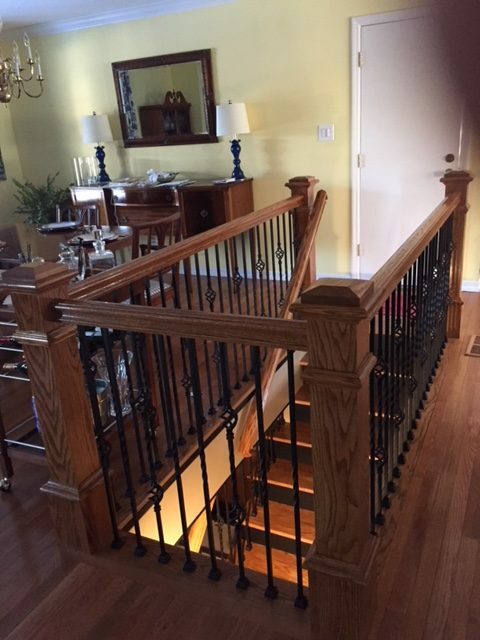 If I replace the all balusters with iron the spacing will be 5 inches apart. Do you have any recommendations so I don’t have to refinish the treads? Isn’t building code 4″? What about a house that is 1- years old? You are correct, building code is typically 4″ (but that can vary from county to county). Unfortunately we don’t really have a great solutions for this situation. Probably the first think you will want to do is contact your local code office, and see if they will grandfather you in based on the previous spacing. If they will not, and you don’t want to replace all your treads, you could buy something like our 6006 shoerail and put that on top of your treads to hide the old holes. 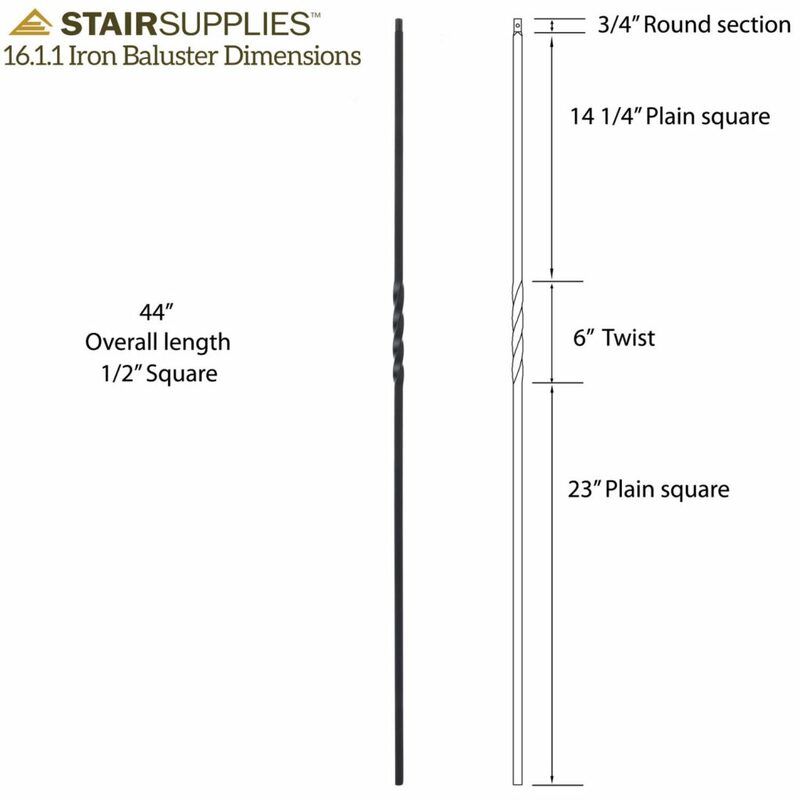 I am planning on using solid 16.1.1 balusters on a covered outdoor stair. I see in the installation manual that these are powder coated, so I would think that the finish should hold up well. Do you see a concern with installing outdoors? 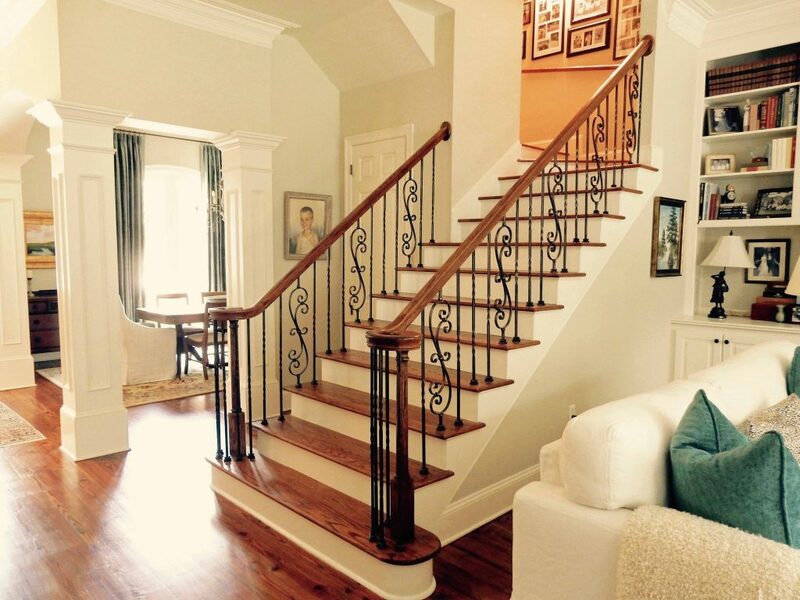 Also, I will be using PVC handrails and treads. Will your epoxy system work OK for this? 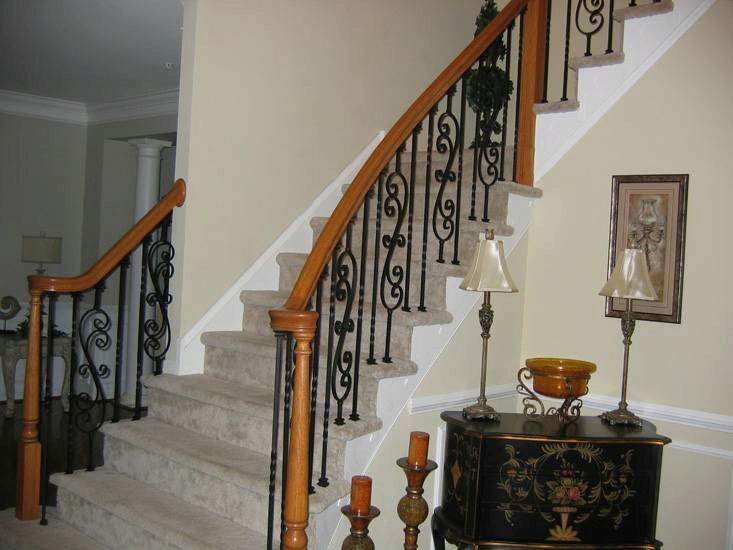 The powder coat on our wrought iron balusters is actually not recommended for exterior use. 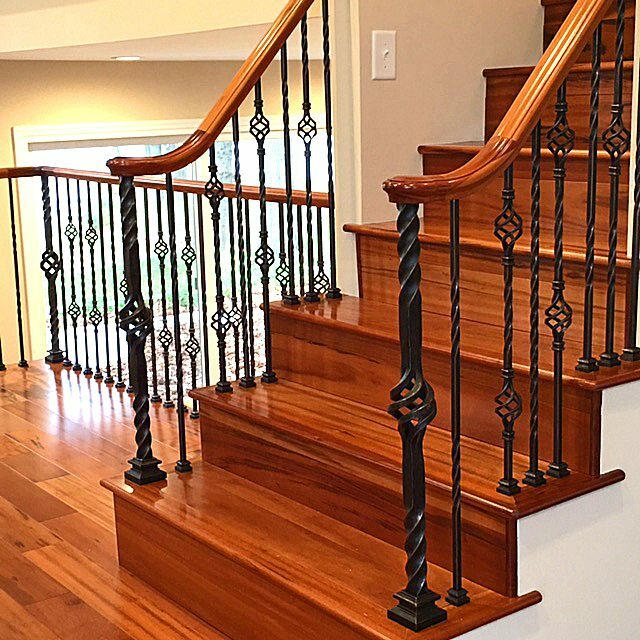 Our epoxy is formulated to adhere metal to wood, so we would suggest looking for an epoxy or another adhesive that is specific to your PVC application. I hope this helps. Please feel free to let us know if you have any additional questions. 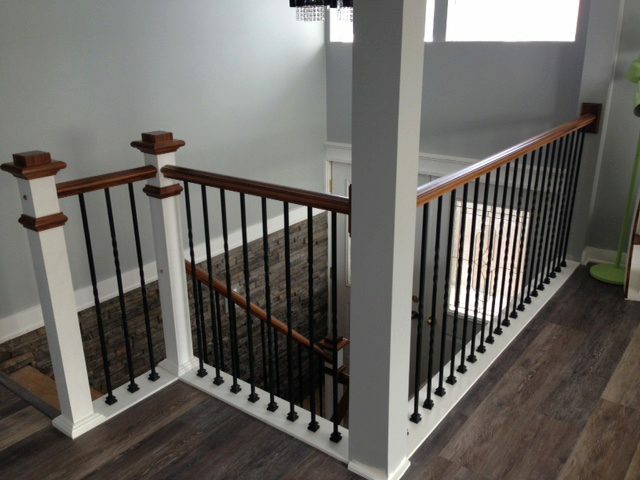 With a knee wall, the length of the baluster that is needed is 26 inches. 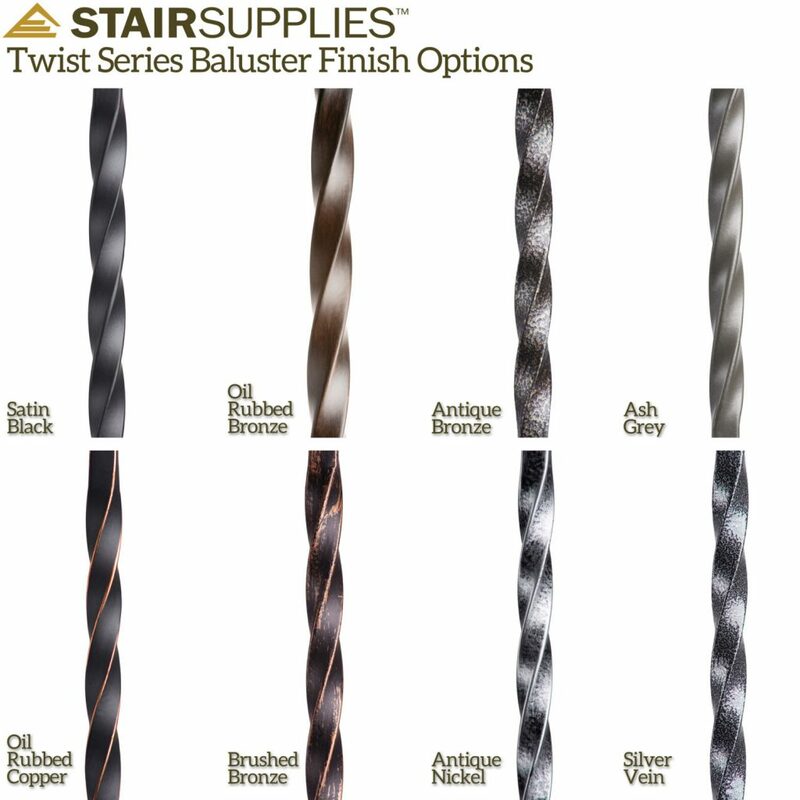 Am I limited with the plain baluster only with my choices? 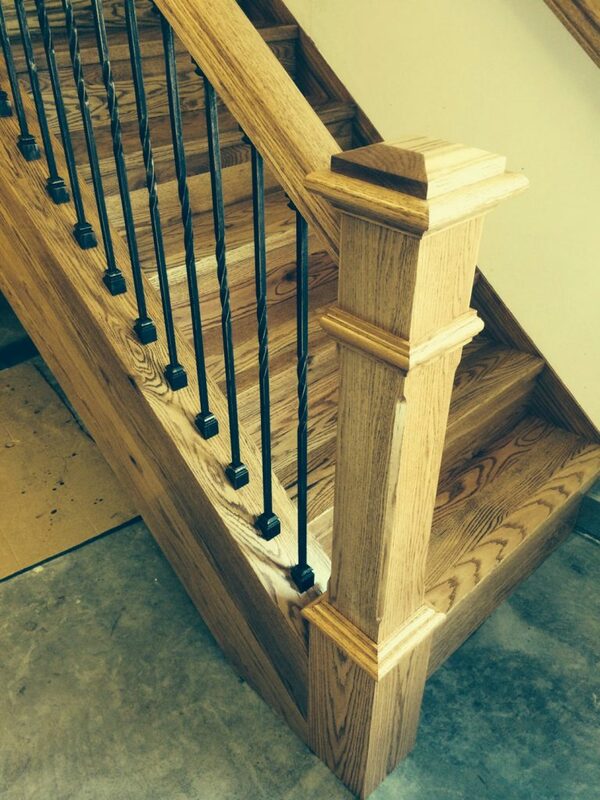 Otherwise, even a single twist will be only 6 inches from the bottom of the baluster. It doesn’t seem like i have any choice than the plain. Is that correct? Good question. Thanks for asking! 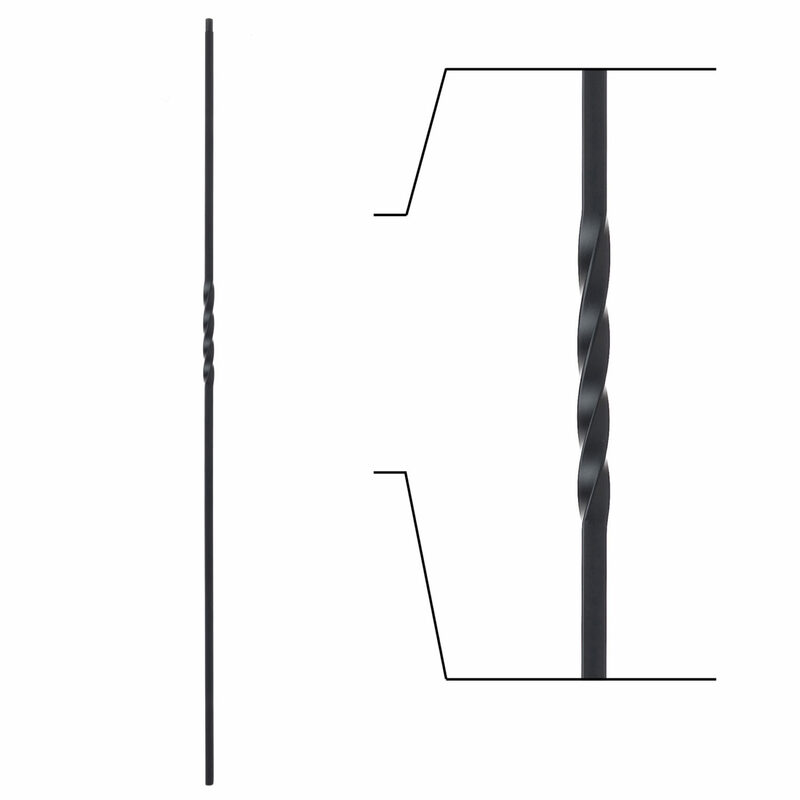 The single twist would still be fine for your application. 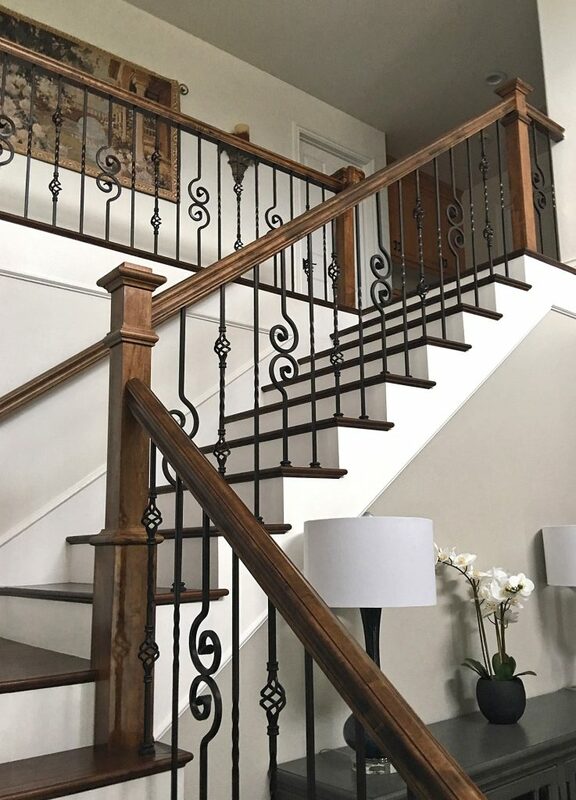 If you check out the little diagram photo on the upper left side of the main photo, you’ll see there are approximately 21 inches of plain baluster below the single twist and 14 inches above it. 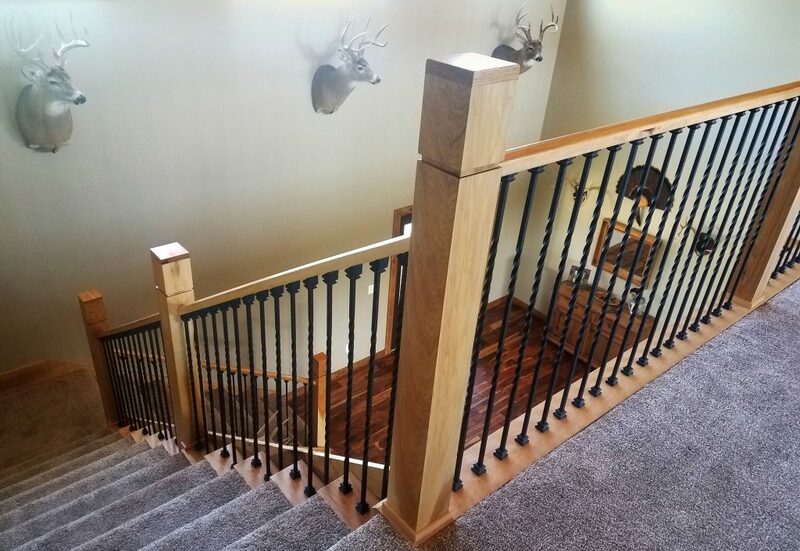 You are able to cut down from both sides of the baluster, so you would be able to cut down enough to get to the 26″ height with the twist in the center, as long as you measure out your cutting beforehand. 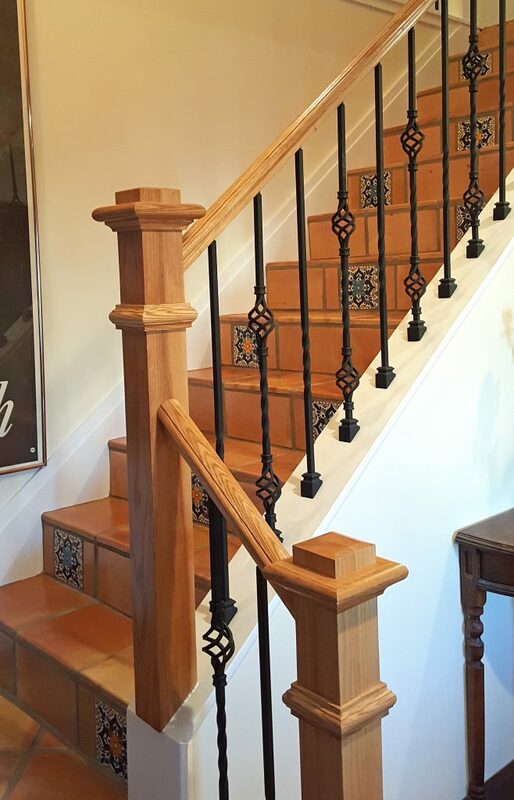 Other balusters have plain sections on either side of their design that can be cut down, but because of the significant cutting that is required for your project, we would suggest sticking with the plain straight and the single knuckle or single twist. Please let us know if you have any further questions!